Consumers often perk up at the mere mention of discounts, promotions, and sales. No matter how small or large the discount is, it is always a welcoming news for all especially when shopping more equates to more savings. Discounts and promotions are surefire ways of winning a customer's loyalty and keeping them happy. Customer-centered businesses often find ways to bring this benefit to their loyal consumers. AffordableLED.com, wholesaler of LED signs, believes that customer satisfaction always comes first. Aside from having the most comprehensive array of creatively designed LED signs, the company also prides itself in being able to give all their customers the lowest priced LED signs possible. Consumers are even free to compare their prices with any makers of LED signs. If they find a cheaper manufacturer of LED signs, AffodableLED.com will instantly match their price. To add more to the cost-saving benefits consumers get from AffordableLED.com's LED signs, the company is offering free ground shipping for all orders of LED signs. Customers now do not have to worry about the sipping costs their LED signs may occur. By simply keying in the coupon code (FS80422) upon purchasing LED signs, all customers can avail of this exciting offer. This promotion is only valid until the 30th of April, 2008. 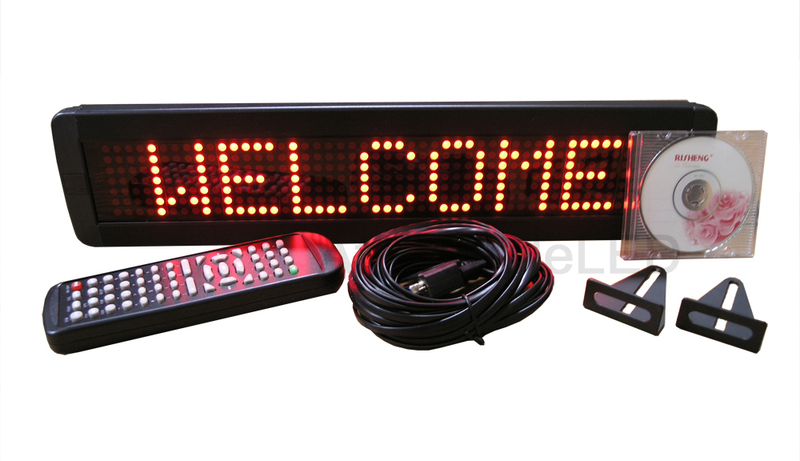 More and more promotions and freebies await loyal patronages of AffordableLED.com's LED signs. Simply join the mailing list and be the first to know more about invaluable discounts, promotions, freebies and more in the up and coming months. Business LED Signs We sell a variety of business LED signs, We can also customize LED signs just for you! Business LED Signs Programmable LED Signs Programmable LED signs are being sold, too.